On the whole, the news is good. Since the relatively recent appearance of spot-on treatments such as fipronil (e.g. Frontline®) and imidacloprid/permethrin combination (e.g. Advantix®), it has become easier to control insects and other parasites (fun fact: ticks are arachnids—like spiders—not insects or “bugs”). Note that we say “easier to control.” Putting a product on your pet does not relieve an owner of the need to be vigilant! Many owners are surprised to find that these spot-on treatments are pesticides, not drugs. As pesticides, they go through an approval process with the Environmental Protection Agency, not the Food and Drug Administration. As with any pesticide, there are the usual questions about their use: 1) Are these products safe, and is there a safer “natural” alternative? and 2) Is resistance becoming a problem? As for question 1, the answers are yes to the safety question, and no to the “natural” alternatives. In 2008, the EPA studied “adverse events” in spot-on treatments as found them to be safe. The study can be found on their website. 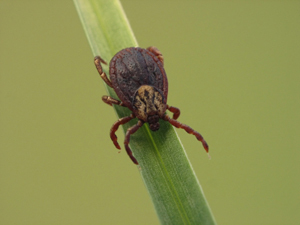 “No cases of confirmed drug resistance to recent external anti-parasitic drugs in ectoparasites (that means fleas, ticks, biting flies, etc.) of carnivores have been described over the past 10 years. All follow-ups that have been performed when failures were suspected highlighted many other reasons for such.” Moreover, the profession does constant monitoring for resistance. The take-home: Use these products according to label (read it!) and veterinary instructions, especially with cats and small breed dogs. Remember: DRUGS APPROVED FOR DOGS MAY BE TOXIC TO CATS. As always, education is the best preventative: Stay up-to-date via your veterinarian.